With the snow dusting New York City last night, the holiday spirit has officially set in at the Dempsey & Carroll office. We love traditions here, especially ones that involve hand-written letters! That’s why the Dear Santa letter-writing is one of our favorite holiday customs. Nothing is a better combination than hand-written notes and children’s candid humor. All of December, we will be posting letters to spread the laughter and cheer. The closing, “It will bring me great glee & warmth to the ends of my toenails,” is the most darling thing we have read in a while! 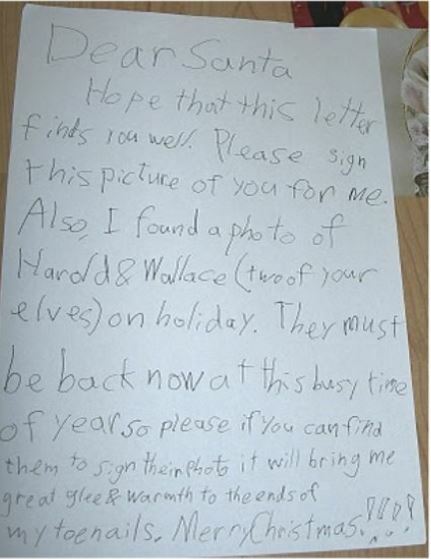 Do you have any good Dear Santa letters? send them our way!